Can you chip in to stop Nonso being deported? 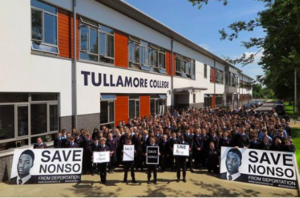 Nonso belongs here in Ireland with his family, school and community who love and care for him. You can also send a cheque or postal order to Uplift, 28 North Great George’s Street, Dublin 1 or call 01 513 3043 to donate over the phone. Direct debits to our account below are also more than welcome, but please keep them under €99 and, if you can, email clodagh@uplift.ie with your name so we can thank you.